EBAN would like to disseminate an excellent toolkit that was created by VTT in the framework of the AAL2Business Support Action. This toolkit is an excellent publication on business model development. Although it focuses concretely on the Active and Assisted Living sector, entrepreneurs from other sectors might find it handy too! 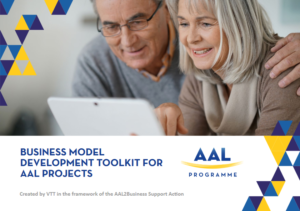 It tackle the design (“How to design business models and value propositions”), the testing (“How to validate business models in AAL projects”) and the learning (“How to analyse what is learnt in AAL projects”).